Now that the sun has set on Thanksgiving Day, folks have to decide what to do for the rest of the holiday weekend. Almost everyone will enjoy leftovers from the feasting on Thursday. Some will go shopping, which necessarily means that others will be working. Some will watch football and take naps and lounge around the house. Then there are folks like us who need to get out of the house and go on an adventure. My wife and I took our boys and their visiting cousins to visit NASA’s Johnson Space Center. The perfect prelude to that experience was great Italian food at a restaurant called Frenchies, which is just down the road from there. 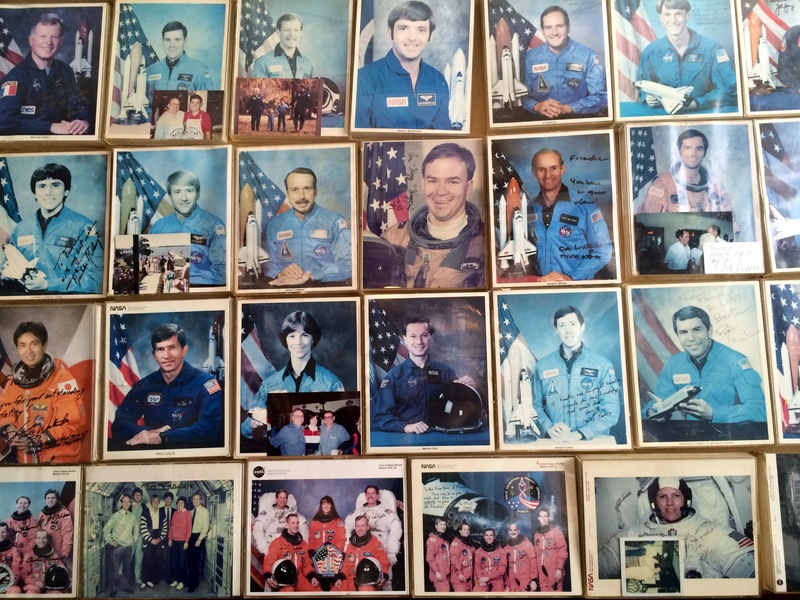 The walls of that restaurant are covered with photographs of astronauts, many of them signed.